The Macmillan Cancer Support charity provides one to one nursing support through the trying times encountered by cancer patients. Through the world’s biggest coffee morning event the charity seeks to raise monies to finance this extremely successful and supportive service. The Pink Link gathered 50 of Huddersfield’s loveliest ladies together in Almondbury to raise money although coffee was very low on the agenda for the day. A light lunch was served with cakes and fizz followed by a raffle and two auction prizes which were donated by the ladies; a cross trainer and a trip for four on a canal boat! 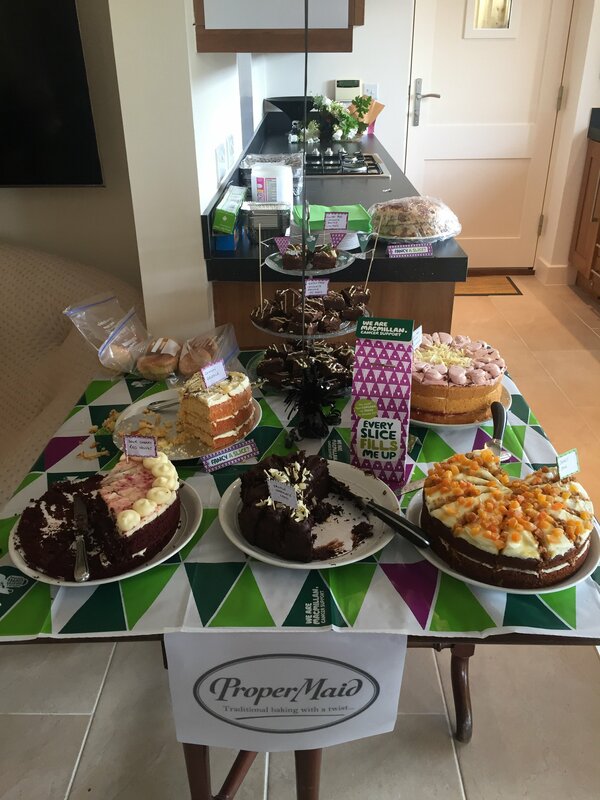 All cakes sold where kindly donated by Allison Whitmarsh at Proper Maid. During the event other local businesses had the opportunity to showcase their products and services including – Temple Spa, Tuppaware, Pure Ladies Fashions, Base Interiors and Antonia’s Bags. In addition the ladies attended a cocktail making class by Sisbro – learning multiple ways to make the fizz on the day even more fun! The fantastic turnout helped to raise an amazing £2020 for this very worthwhile cause. The Pink Link Ltd are no strangers to charitable causes, having just sponsored The Kirkwood Hospice Trail Run for the sixth year; which has now raised to date over £50,000!